Markets are reverting to their Q2 market pattern with CBOT markets weak and cotton moving higher. 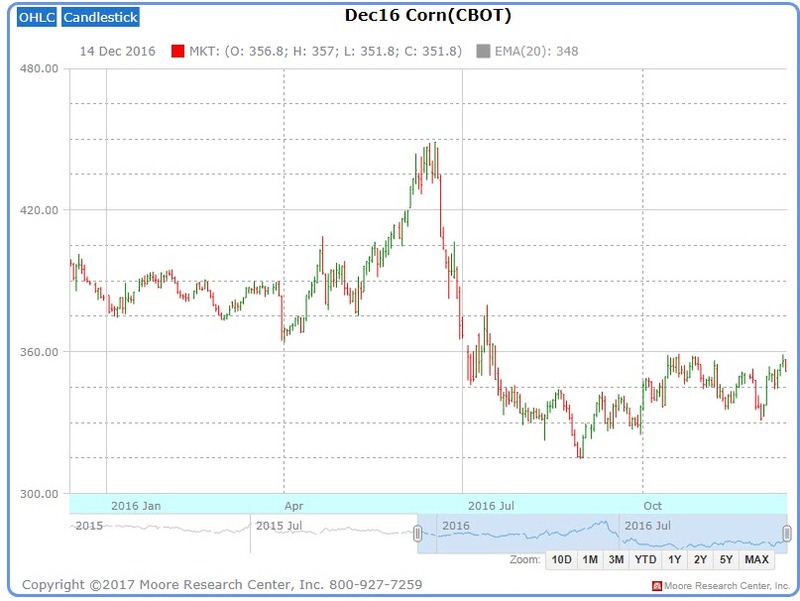 The overnight price action at the CBOT has been heavy to say the least, with soybeans leading the way bringing November 17 lower into its price gap from late June near 960. Corn and wheat have followed, with a new short term low seen in corn. It feels as if December 17 corn is going to test it’s 2016 harvest low near 365. If you are a corn or soybean bull or have made a good amount of sales, i really like re-owning this break but you need to give it time. 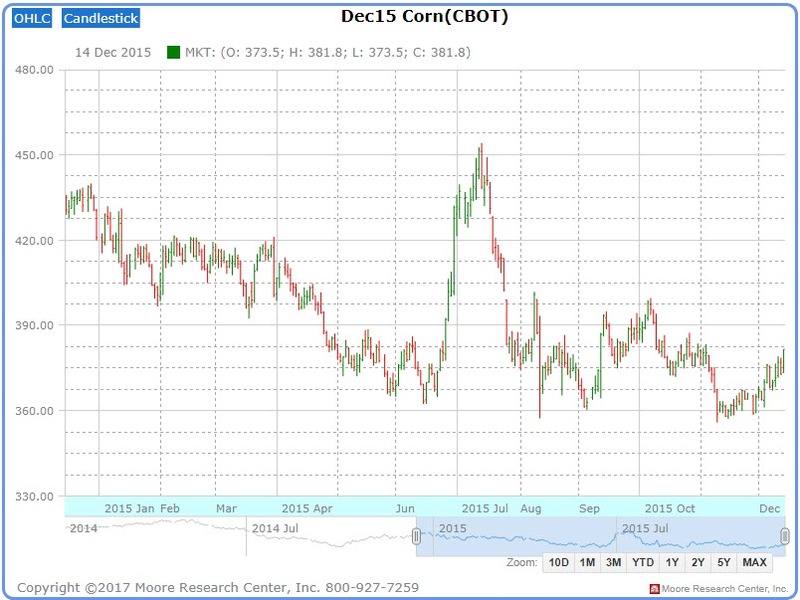 Below are the charts from 2015 and 2016 corn (h/t to MRCI.COM), keep in mind both of these crops were above trend where this year is probably between 2 and 5% below trend yield (maybe higher) depending on who you believe. In both 2015 and 2016, we saw corn show bottoming action in August. Last year those lows held, in 2015 they were retested but by delivery we saw prices rallying. I expect very similar price action this year. I think we probably see another 10-15 cents of downside in Dec 17 and Dec 18 before we set lows that hold for a while. The massive spread action between September 17 and March 18, and the relative tightness between March 18-Sep 18 tells me that markets have no interest in rationing corn right now, but that should change. Keep in mind this is analysis assuming 165 yields. If we would see a shocker next Thursday, we might see everything rally anyway. Right now we are seeing a washout of spec longs combined with physical grain selling from the early harvest beginning in the south. Hey, hey! Look at cotton, back above 70 cents. This is an old crop cotton driven rally into the end of the marketing year. Old crop sales are way ahead of pace and any additional purchases could bring the 2016-17 carryout down even further. The problem for bulls is the amount of new crop coming online. Carry in for old crop into this year could be 3 million bales or less, but next year could get as high as 6 million if yields would shake out the right way. 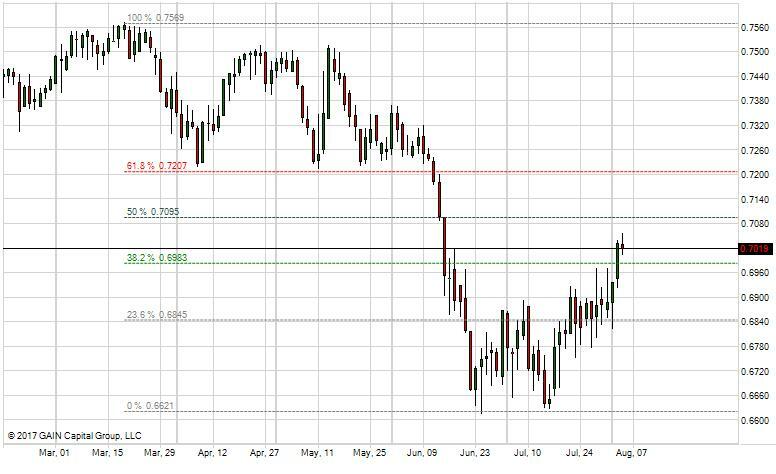 50% retracement of the June selloff comes in near 70.90 which is probably a good short term target if you are long. We could probably pop up to 72 cents but I am not optimistic we see a push through that price. Fears of too much rain in India may be providing support but good rains over Texas this week should put conditions on the come up. Hedgers confident in their production could look at selling Dec 75-80 cent call spreads to pay for any “rolls” higher in puts.